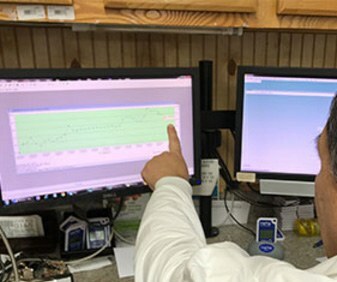 communicate and connect to our farms as soon as product is received into our Miami facility. 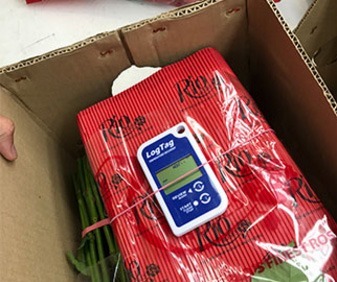 These standards and processes act as your insurance that every flower is delivered to your door as though it were just cut at the farm. 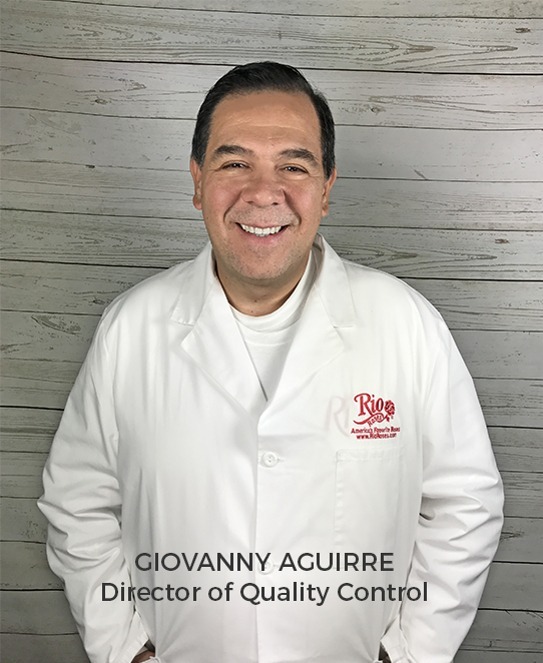 Our Quality Control livestream channel is available from Monday to Sunday from 5:00 AM to 1:00 PM. 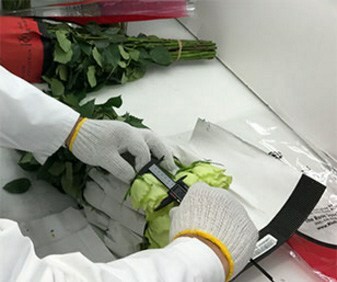 Each and every flower we cut must meet exact grading standards. We pack flowers in a manner that maintains their freshness and quality during transit. 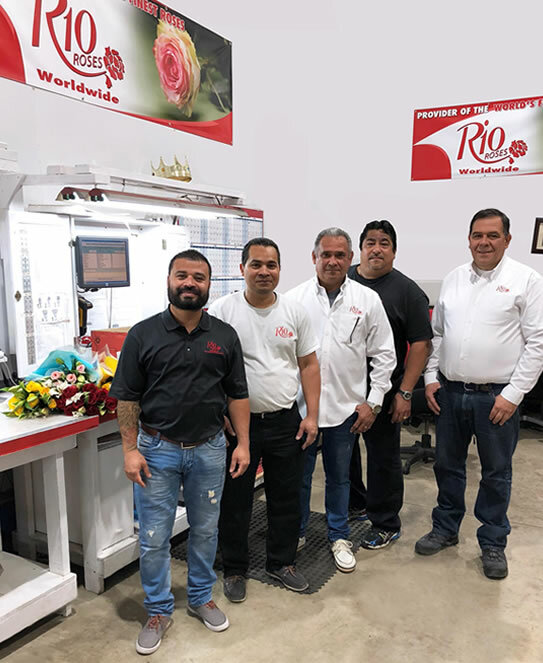 Refrigerated shipping and handling at every step of the delivery process increases the life and health of our flowers. possible bloom for the end consumer. 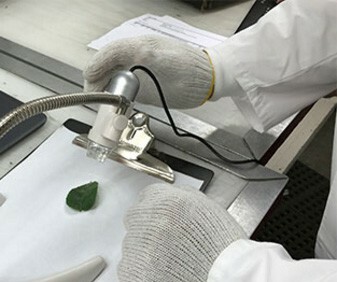 Each grade and variety is measured against its ideal bud size. Each stem is conveniently pre-processed with 12.5 cm of foliage stripped. All stems are cut evenly within each bunch to ensure proper hydration. We measure the stem lengths without including the bloom heights. We use a two-tier bunching system and grade all of our roses using the bottom of the lower tier. 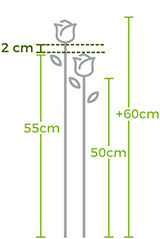 When adding the bloom height from the top tier, on average, an additional height of 10 cm is included. Flowers are packed in multiple rows for efficiency and protection. Rubber bands on the stem are placed above the bottom of the bunch so that they are not cut when the stems are processed. A large rubber band is placed around the flowers to hold the bunch intact. Bunches are placed into sleeves for protection. The sleeves are labeled with the variety name, grade, and farm code for your convenience. Bunches are meticulously packed in the box using cushion covers, placed in key areas to prevent damage during transit. Plastic straps are used to hold the bunches in place.